For you to be a good ESL writer you don’t need to learn all the ESL grammar rules. Many native English speakers and writers couldn’t tell you the rules of writing which they use every day, when they write. They just know what sounds right. If they believe that something they’ve written isn’t right they'll go and look up the specific rule and see how they can improve their writing. I would recommend that you try to write this way, especially as your level of English gets more advanced. When doing ESL reading to improve your vocabulary you’ll also see the natural use of English. If learning to write is the most important part of English communication for you, it might be good for you to study ESL grammar, but only enough for you to be aware what the grammar rules are. If you know what the rules relate to, you can come back and look up specific points when you need to. You'll get much more benefit out of using English, either speaking or writing, than you will by learning all the rules. 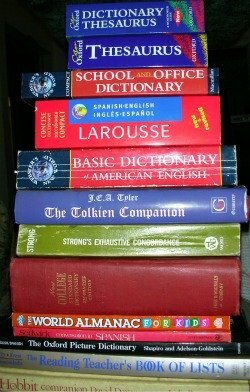 So I'll list the main areas of ESL grammar that you should be aware of when writing, but I would suggest that you invest in a good grammar book, which you can use as a reference manual when you need to. Don’t read it from cover to cover, but just look up specific points when you need to. A computer spell checker won’t highlight any of these words as being spelt wrongly (as they aren’t) but if the incorrect word has been used it could still be wrong. It’ll have the wrong meaning. Pay attention to words like these to make sure that you’ve used the correct one. Apostrophes have two uses. The first is to make possessive forms of singular and plural nouns. Add an apostrophe + s (’s) to singular nouns and just an apostrophe to plural nouns ending in s (s’) already, to show possessive forms. Check your grammar book for additional special rules. The second is to indicate where a letter has been omitted when a contraction has been formed. For example, - they have - becomes - they’ve -. An apostrophe has been added where the letters (ha) have been removed. However - its - is the possessive form of - it -; while - it’s - is the contraction of - it is -. Confusion between these two is very common even for native speakers. These are the only correct ways to use its and it’s. Also apostrophes can’t be used to make a noun plural. Make sure that the tenses of verbs and nouns in the same sentence match. Check this and make sure you get it correct. Grammar books often list many different uses of commas, some of which are quite complex; you should be careful when using them. Many writers add too many commas. If you use lots of commas check to make sure they've been used correctly. If in doubt rewrite the sentence so that a comma isn’t needed. Keep your use of commas to a minimum if possible. The student was not unhappy with his mark. - Not and un - are both negative, meaning that the student was happy. These can be confusing and make the writing unclear, try not to use them. A sentence fragment is a group of words written as a complete sentence but which aren’t a complete sentence. Often the fragment will be missing the subject or main verb. If you read a sentence and want to say ‘and what next’, if there needs to be something else, it’s probably a fragment. Sentence fragments are quite a common problem. Find them and fix them in your writing. If you'd like help with your written documents I can help you proofread and improve them. See the page about my proofreading service for more information. If you want to you can come to the Excellent Proofreading and Writing Facebook page to ask me questions about ESL grammar or anything else.